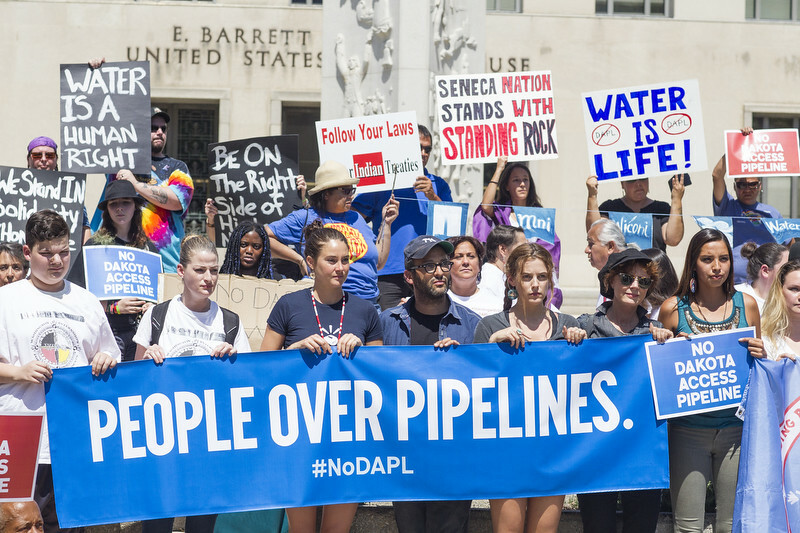 Has Liberal Media All But Guaranteed The Success Of The Dakota Pipeline? Truthful, responsible reporting regarding the Dakota Pipeline very well could guarantee its eventual construction. The Dakota Access Pipeline Project, otherwise known as the Bakken Pipeline, is an underground pipeline spanning approximately 1,172 miles that will eventually connect the Bakken and Three Forks oil fields of North Dakota to a hub in Patoka, Illinois, passing through South Dakota and Iowa along the way. From there, it could connect to existing pipelines for transfer for refinement or export or could be sent to Midwest and East Coast markets by truck and rail. The pipeline has become controversial regarding its necessity, its environmental impact, and the use of eminent domain (the right of a government or its agent – in this instance Energy Transfer Partners who are heading the joint venture – to expropriate private property for public use, with payment of compensation). Then something extraordinary happened. The Atlantic reported last Friday that opponents of the project won a “provisional victory” after three federal agencies asked the pipeline’s partners to “voluntarily” pause work on a segment of the pipeline that “tribal officials say holds sacred sites and artifacts,” mere minutes after Judge Boasberg ordered construction continued. And, although these websites had been openly supporting the struggle to halt construction of the pipeline, they unwittingly (at least we hope so) may have guaranteed the eventual success of the pipeline by declaring victory and diverting attention away from the controversy. Kelly Hayes, an activist and co-founding member of The Chicago Light Brigade and an organizer with We Charge Genocide, elaborated on this new threat created by irresponsible news coverage on her website Transformative Spaces. Hayes, “the child of a father who had been removed from the Menominee Reservation prior to the American Indian Child Welfare Act,” writes that national attention was finally being paid to the story of the protests against the pipeline due to “growing social media amplification and independent news coverage.” However, as soon as the Obama administration issued their joint statement things turned for the worse. Then something happened. Headlines like, “Obama administration orders ND pipeline construction to stop” and “The Obama Administration Steps In to Block the Dakota Access Pipeline” began to fill my newsfeed, with comments like “Thank God for Obama!” attached to them.